Decorations and ornaments are everywhere you look this time of year. 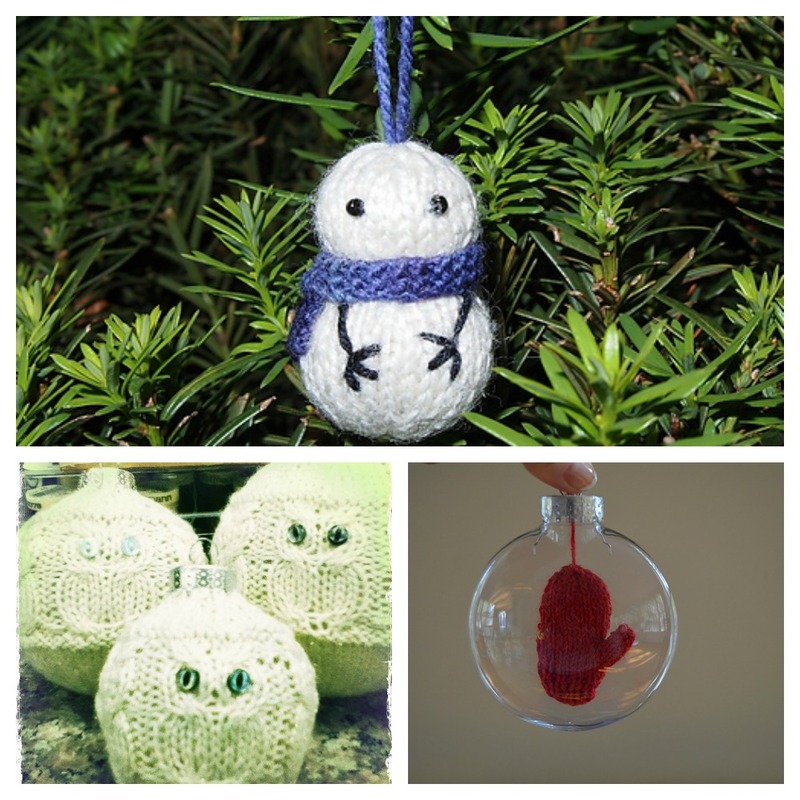 Have you ever thought about knitting or crocheting decorations for yourself or as gifts? Ornaments are a great way to mark a special occasion or start a new tradition. Kraemer Yarns, available in different weights and blends, are great choices to use for these projects that are sure to bring out the smiles as they are brought out each holiday season. Kraemer Yarns is pleased to offer a variety of free patterns year-round and here we are spotlighting the seasonal ones. The Bethlehem Star Stocking, knit in Naturally Nazareth, features simple cables to create the star and border decoration. The top is knitted flat and then joined in the round to finish off the foot. 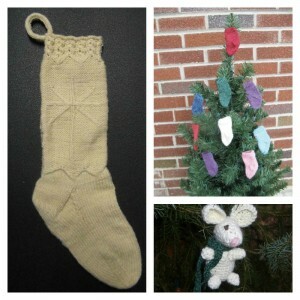 Our Christmas Ornament Socks, in Saucon Sock, look great decorating a tree, topping a gift, or strung together as garland! Pip the mouse, is crocheted in Perfection DK and is an adorable little guy to add to your tree. Nicki Epstein’s #08 Felted Wreath, is a festive show-stopper to grace your door or mantle. 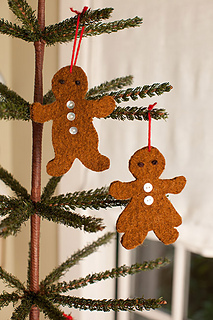 The Felted Gingerbread Ornament pattern would be adorable as a custom garland or gift tag. If you haven’t tried felting yet, these are great projects on which to experiment with Mauch Chunky. We have even more holiday project inspiration on our Pinterest board, click here to check it out. We know this is a busy time of year, and we do appreciate when you take a moment to share your projects with us! 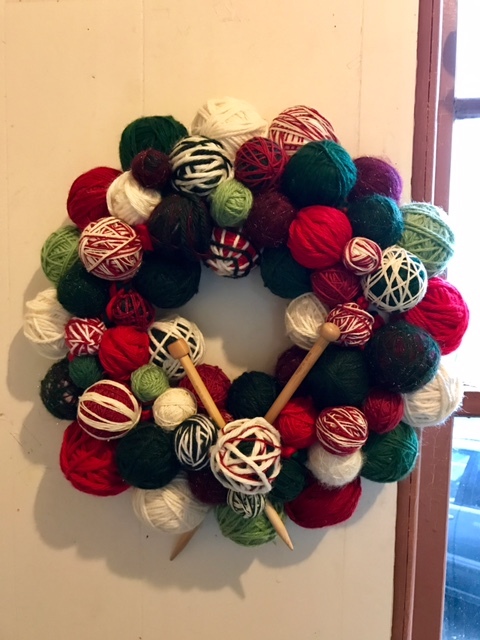 Getting a notification about your post to our Facebook page, seeing your posts in our Ravelry group, and tagging us on Instagram makes our days merry and bright! In our inaugural blog post, we put the spotlight on Perfection. 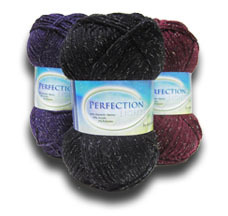 Perfection is a great all-purpose yarn available in 57 colors and 4 weights. If you are looking to add a little something extra to your projects this season, without breaking the bank, consider the 12 sparkle colors of worsted weight Perfection Lights! The touch of sparkle in Perfection Lights Worsted makes it a fun choice to use for holiday ornaments, a glamorous accessory, or as an accent in combination with the 67 colorways of Perfection Worsted! Shown above (left to right) are Ravelry user DagmarEir’s Pink Stripe Mittens in Fluff Lights and Kiss Me, the Emerald City hat pattern by Leeana Gardiner (wouldn’t it be a great choice for Ivy Lights or Holly Lights? 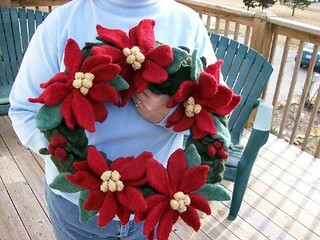 ), and the crochet Fall Shawl and Christmas Sweater ornaments would also be fun in Perfection Lights. 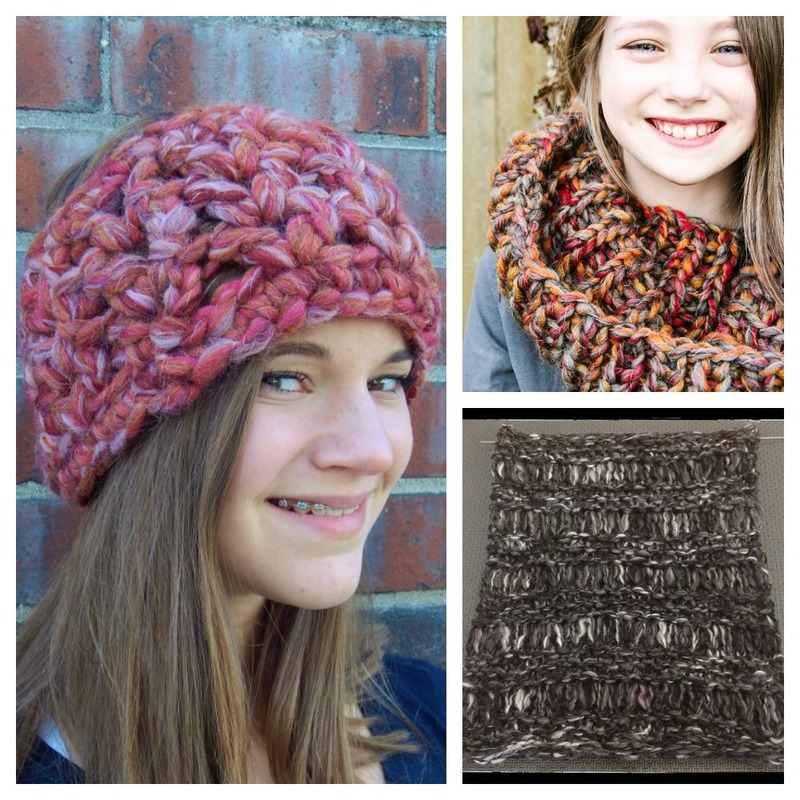 Those last two are free patterns available from Kraemer Yarns. We invite you to share your projects in Kraemer Yarns with us on your favorite social channel, just follow the sidebar links! Need a pattern? If you have browsed the Kraemer Yarns free patterns and still not finding just the right pattern, take a look at the selection of books from Cabin Fever. 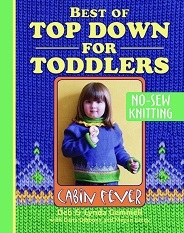 From baby and toddlers, to hats and socks, and even plus sizes, there is a Cabin Fever pattern book to help you out! Many of the designs call for Kraemer Yarns. We are pleased to be a distributor of these books, so be sure to ask your local yarn shop when you are shopping for your next Kraemer Yarn project!